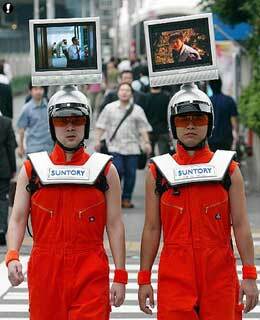 These guys with displays on their heads are part of a promotion campaign in Japan. Bigger picture on Flickr. Beats the advertising teletubbies.